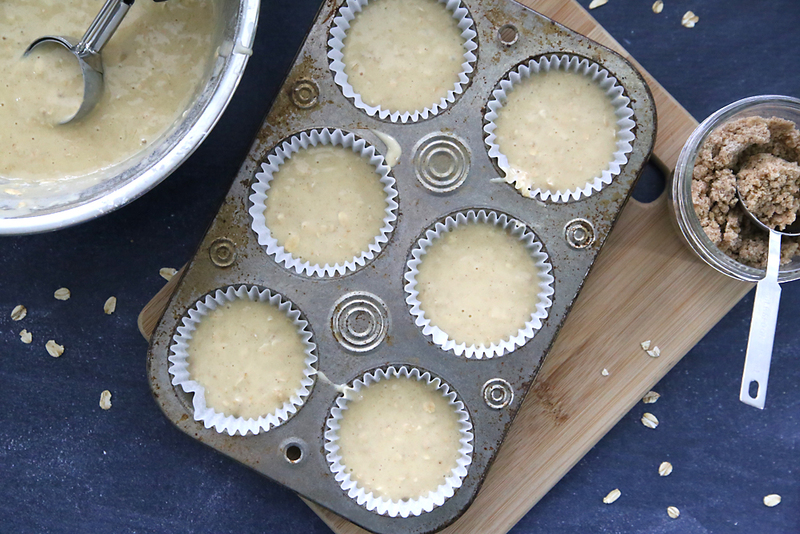 These easy-to-make muffins are not only soft and delicious, they also get extra flavor and texture from packets of instant oatmeal. Give them a try today! I have five kids, and since I’m used to having five kids it doesn’t usually feel like that many. Until I go grocery shopping. Again. For the umpteenth time this week because these little people just don’t stop eating! Actually, some of them aren’t so little anymore, which might explain why they eat quite so much. The rate at which we go through cold cereal in UN-BELIEVABLE. Seriously. They walk into the kitchen and another giant sized bag of cereal disappears. 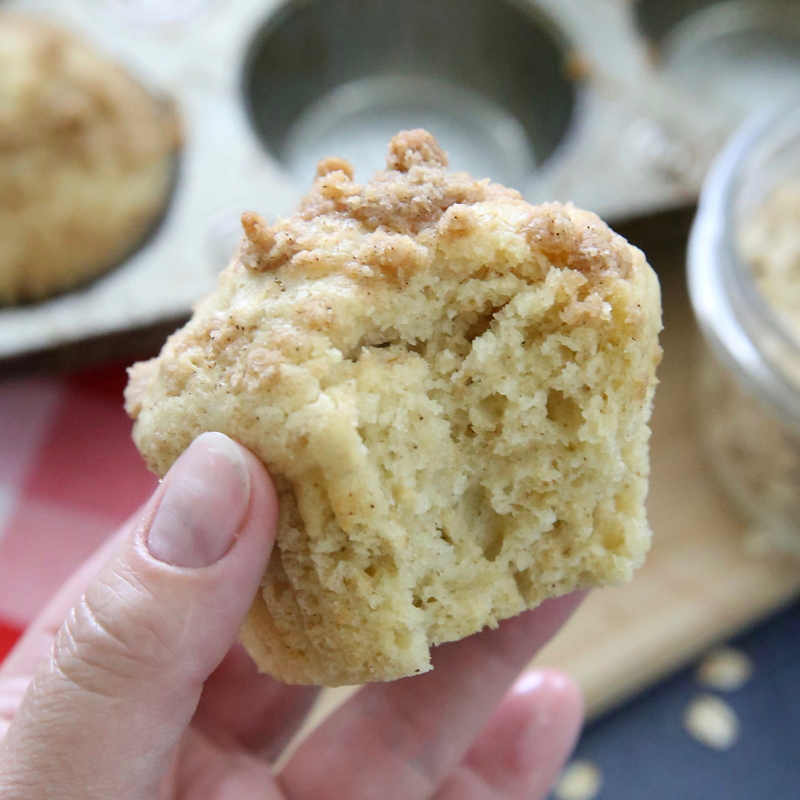 So to help with the breakfast budget a bit we’ve tried out a few new muffin recipes, and we recently found one we love: instant oatmeal muffins! 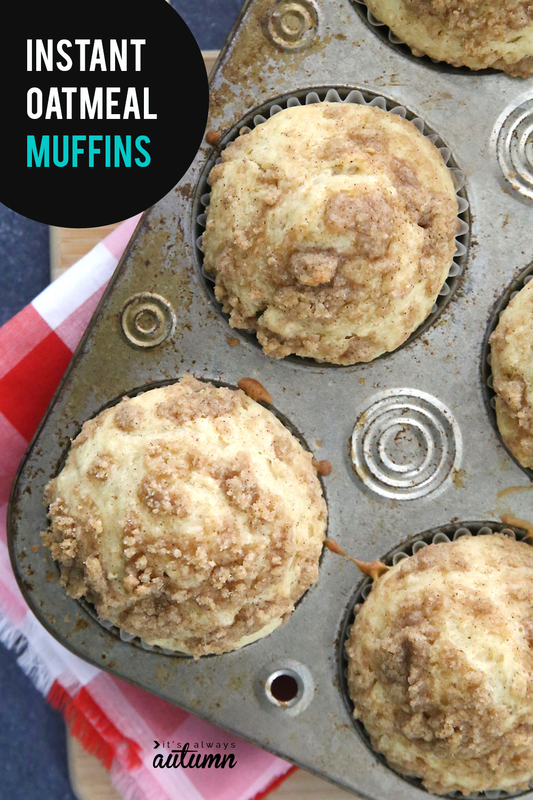 These simple homemade muffins come together quickly and easily (my kids often make them without my help). Because they use basic pantry ingredients they’re very inexpensive to make, and you could easily double the batch and freeze half of them for a quick breakfast later. 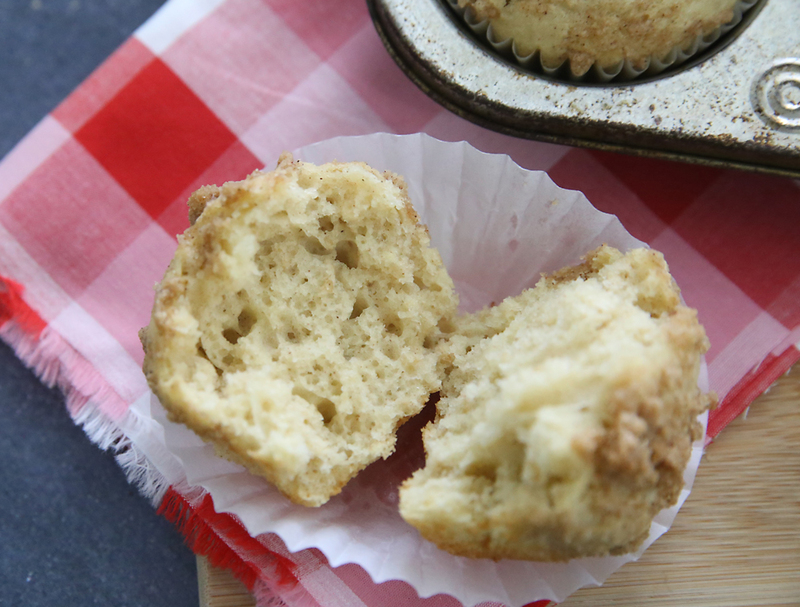 They’re soft and fluffy and get a little extra flavor and texture from the secret ingredient: instant oatmeal packets. 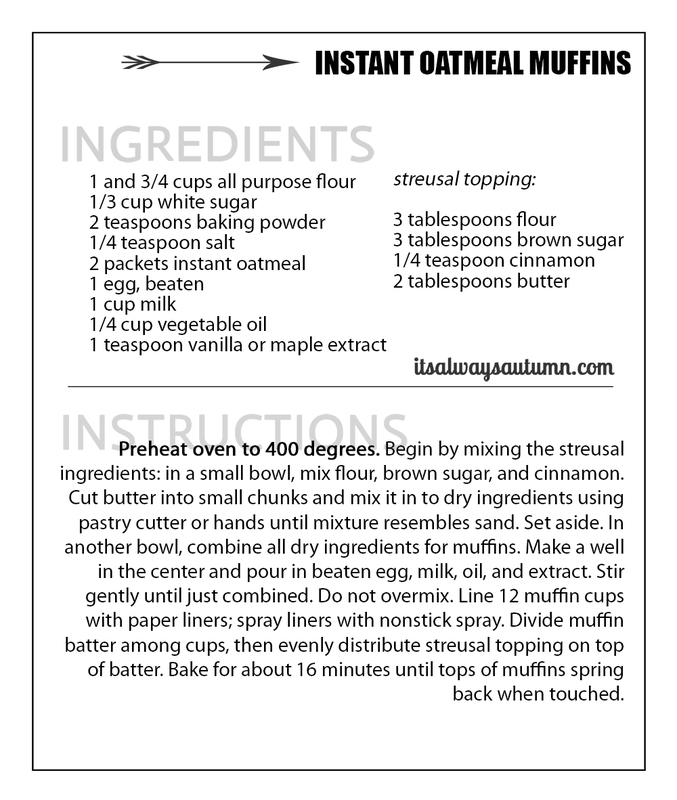 You can use any flavor of instant oatmeal that you have on hand in these muffins – we usually use cinnamon flavor because that’s what we normally buy, but they are also pretty tasty with maple + brown sugar oatmeal in them, especially if you use maple extract instead of vanilla. 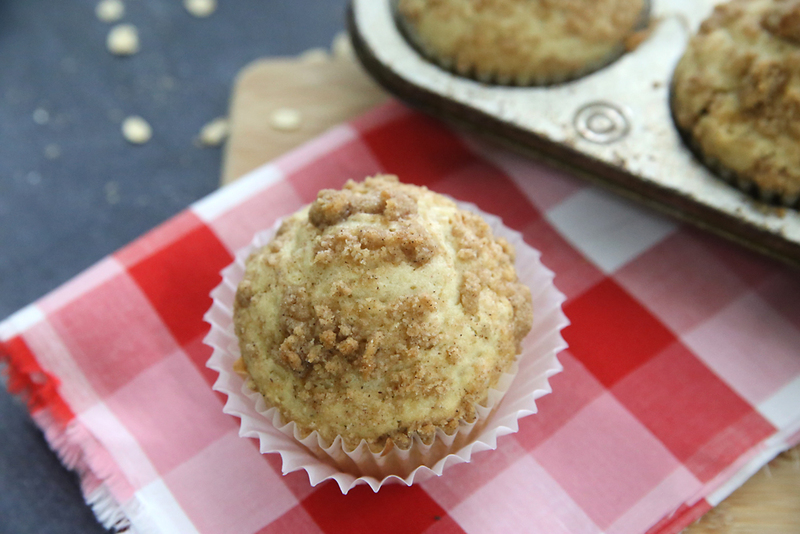 They’re topped with a simple streusel which takes the yumminess up another notch. 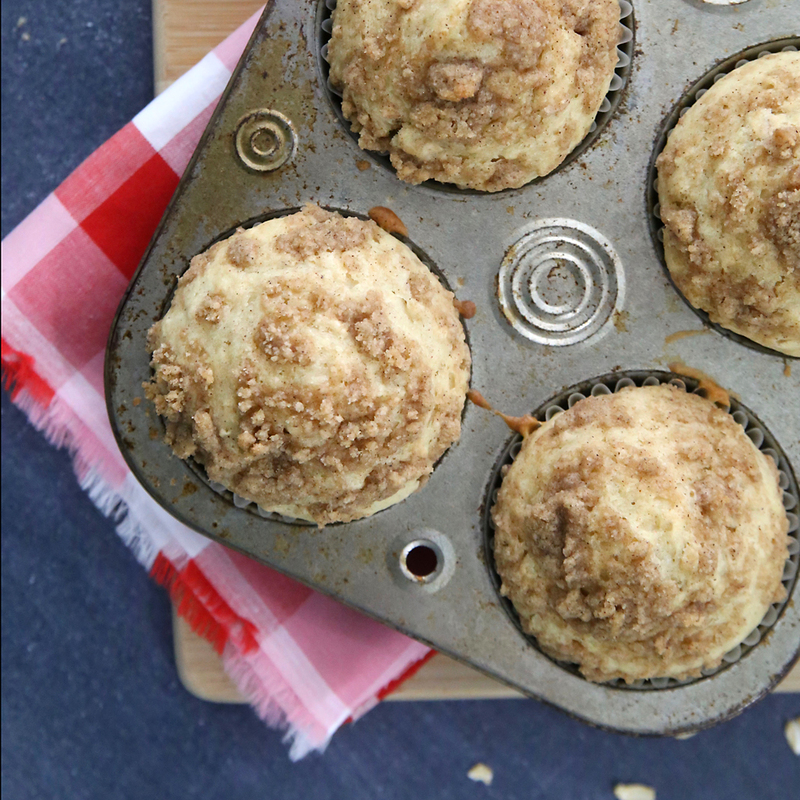 Pretty much anything tastes better with streusel. 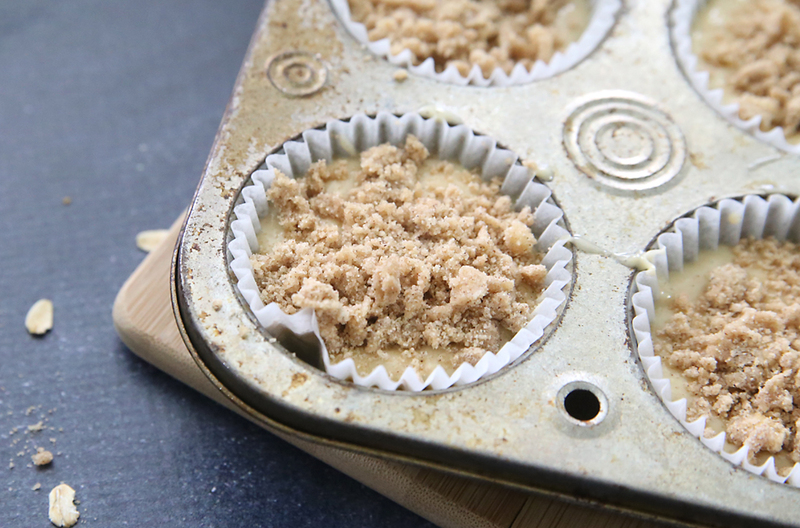 As with all muffins, be sure to start by mixing the dry ingredients, then make a well in the center and add wet ingredients. Stir just until batter is mixed and never beat the batter. Overmixing will make the muffins tough. These should come out soft and light. I love muffins! I made them a lot when my children were little. We’d have them for lunch with some cheese on the side plus an apple. Great memories. Thank you for this quick recipe. YUM YUM! ALWAYS something GOOD IN your posts! Thank you! I laughed when you said that 5 kids don’t seem like a lot until you go shopping. I had 5 siblings. That never seemed that many either, until Christmas, which was compounded by 3 of them having birthdays within 10 days of Christmas! This seems quite interesting. But what if I’m using oatmeal from a box and not in packets? How much would I use? 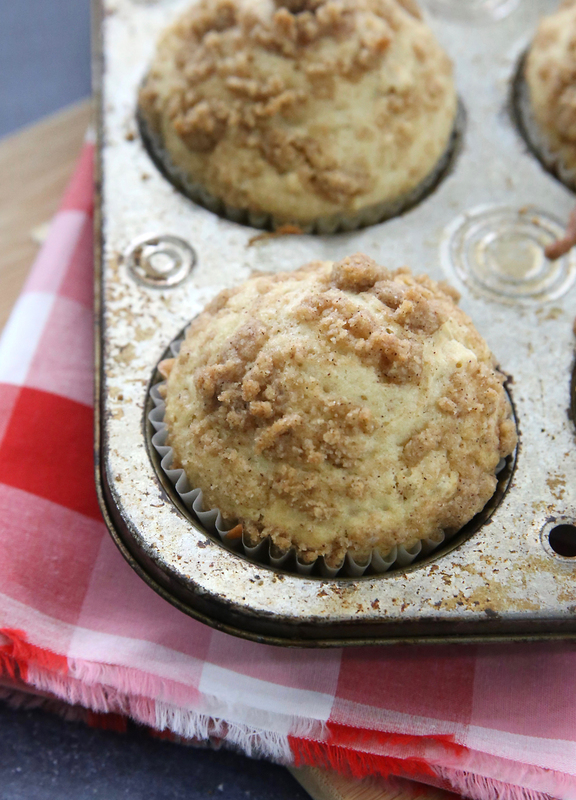 My kids loved these muffins. I will definitely be making them again. I also made a batch of the mix but I put it in an 8×8 pan like a coffee cake. Came out perfect. Going to bake some next time in loaf pan and slice it up. So happy I found this recipe. How many carbs per muffin please. Asking for a diabetic. Thank you.